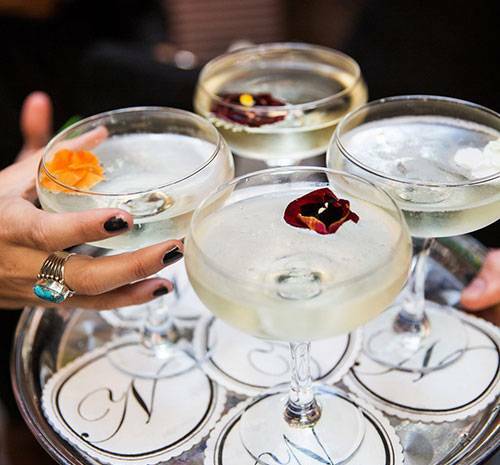 Botanical cocktails and summer weddings are a match made in floral heaven! In case you've missed it, we do floral design over here... we do weddings, events, daily florals, and all that good stuff. 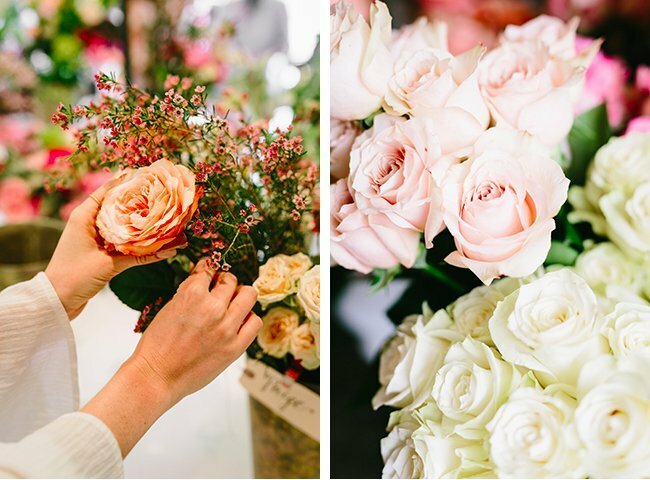 We get to start our days at the flower market, and end them surrounded by all the most gorgeous seasonal blooms at our studio workshop. Yeah, we know. It's a tough job, but somebody's gotta do it! This is what goes on at the Lilla Bello studio workshop every day! So, with all this talk of botanical cocktails, and all the zillion weddings we've been working on this summer, it finally occurred to us that we should do a wedding edition of this floral cocktail series. Duh. Don't judge us for not thinking of this sooner - we aren't perfect!!! 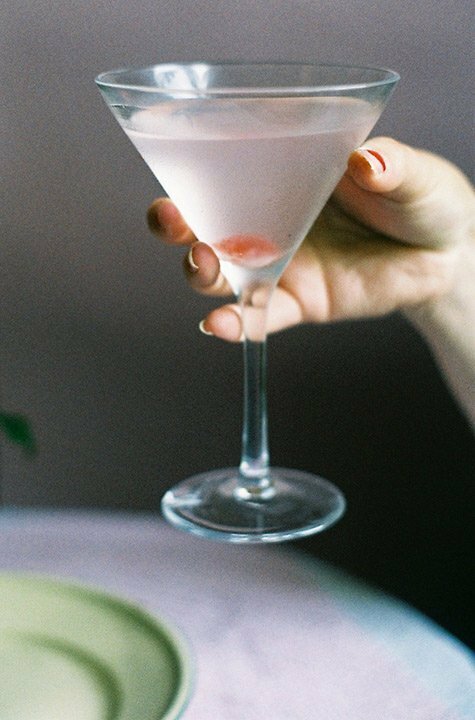 A delectable take on a classic, an Elderflower White Cosmo adds a yummy little floral twist with Elderflower Liqueur. This one is perfect for your fancy city friends who swear by their 5 o'clock cosmos. 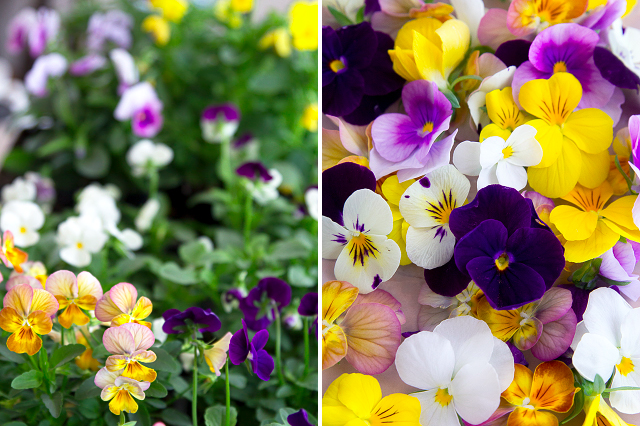 They made the trek to your summer garden fete, show them some love with this flowery take on their fave. Ingredients: Vodka, St. Germain elderflower Liqueur, white cranberry juice, lemon juice, ice, edible flower garnish. Makeability: Easy - shake it all up in a cocktail shaker, pour, top with flower, done! Morning After: 4 - light liquor, not a lot of juice or added sugar, don't go too crazy and you should be OK after a nice plate of hash browns. Did you know "paloma" means "dove" in Spanish?! Well it does. Moving on... Nothing says summer like fresh lavender... especially all mixed up in a sparkly and delicious pink cocktail! We love this botanical take on a Paloma - our Mexican-vacation beverage of choice (yes, over a margarita - sorry, not sorry!). 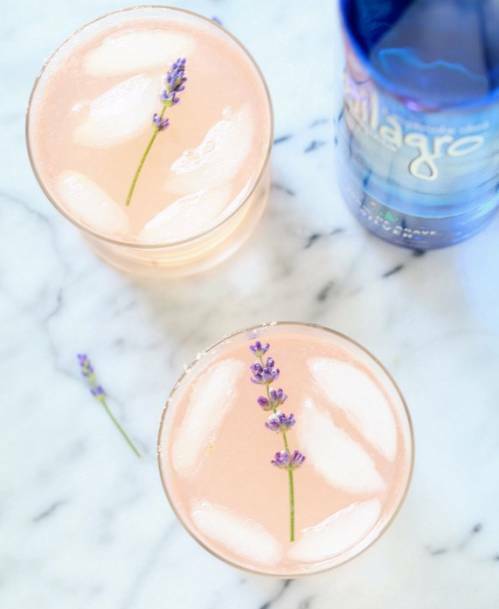 This Lavender Paloma is perfectly pretty in pink to complement your summer wedding backdrop, and the tequila base pretty much guarantees a good time had by all your guests. You know what we're talking about. Ingredients: Silver Tequila, fresh squeezed grapefruit juice, lavender & vanilla simple syrup, lime, DRY lavender soda, ice, fresh lavender sprigs for garnish. Makeability: Sort of a pain - mainly because you need to make the simple syrup, and lavender soda isn't available at your local corner store. Once you have all the ingredients, it's a piece of cake - mix everything together, garnish, enjoy! Morning After: 9/10 - tequila is the absolute worst, plus you've got all sorts of juice and straight up sugar in there... no bueno. But damn was last night fun and delicious tasting. If your bridesmaids are wearing purple, please have them drink this Water Lily all night long to color coordinate their frock and cocktail! This one is easy to drink and you'll look extra festive doing so - it's purple! This recipe is inspired by a beverage from NYC's PDT... so you know it's not only yummy and gorgeous, it's also super cool. 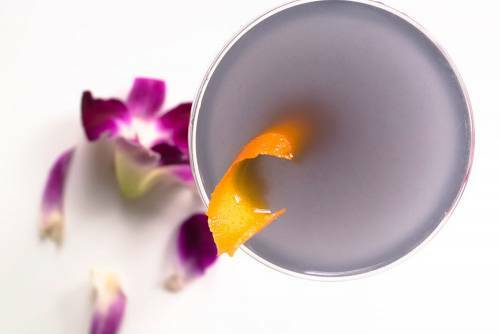 Ingredients: Gin, Triple Sec, Crème de Violette, fresh lemon juice, orange zest for garnish. Makeability: Easy - throw everything in a cocktail shaker, shake, pour, garnish, drink! Morning After: 5 - light liquor, but gin is definitely more dangerous than vodka, plus that Crème de Violette is sweet so if you drink too many, it might be a little rough. Roses and berries?! Can you say summer-in-a-cup?! 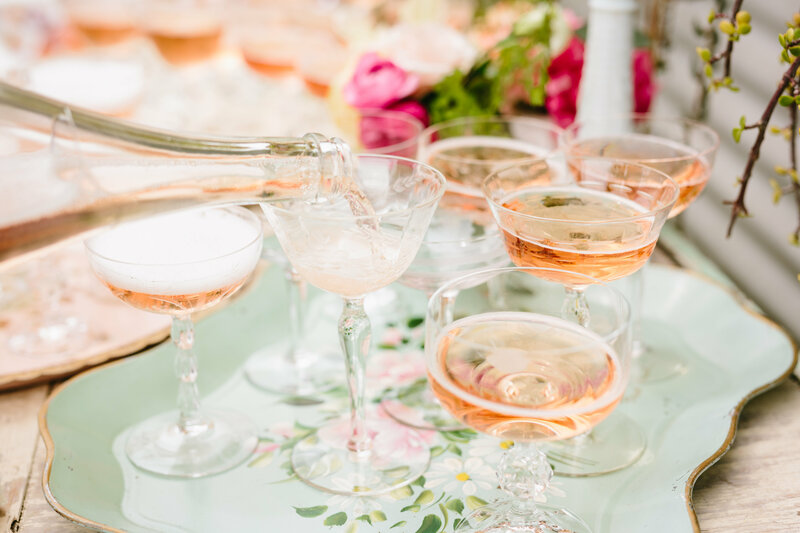 And if you're actually having your summer wedding in a garden, this Summer's Garden cocktail is essentially a requirement. So that means you can stop reading now if you want. Ingredients: Gin, Rose Geranium Syrup, lemon juice, blackberries. Makeability: Medium - again, you need to make a simple syrup and this one involves some relatively tricky ingredients, but otherwise, all the other components are easy and once you have them it's your standard mix-shake-pour scenario. Morning After: 5 - again, you've got a light but relatively aggressive liquor (gin), and a little bit of sweet from the syrup so you could be in trouble if you go too hard. 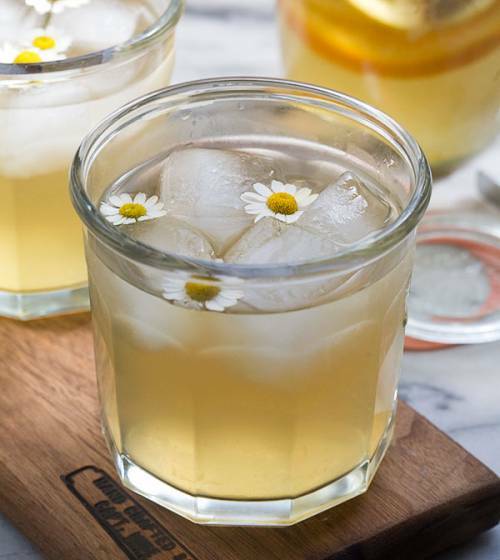 So, this Chamomile Honey and Whiskey Cocktail is pretty much a hot toddy on ice and it's amazing. You feel like you are taking care of your body with honey and lemon and goodness, but in reality you are wrecking it with whiskey and it's so much fun. Not only that, it's all sunny and yellow and summery - perfect for that backyard celebration. 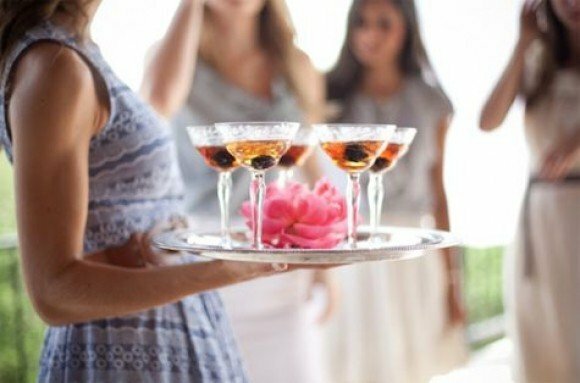 Plus, you know your dad and all his friends are going to want to be drinking "the good stuff," and this takes care of those brown-liquor loving menfolk while ensuring your big day is still all sorts of pretty! Ingredients: Whiskey or Bourbon, Chamomile tea bags, hot water, honey, lemon slices, lemon slices, chamomile flowers for garnish. Makeability: Easy to Medium - we only say this because you have to actually steep the tea before putting it over ice and adding the other ingredients. And that takes a few minutes and we might be a little impatient. Morning After: 8 - Whiskey. Enough said. But your boozy Uncle Hank won't mind... he's got this hangover thing down pat. 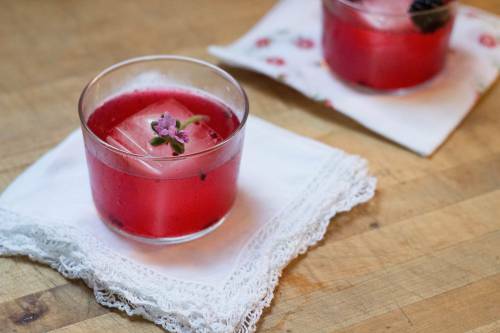 Edible flowers are the perfect garnish for any summer wedding cocktail!